“I find the Bible very difficult to understand when I try to read on my own. I’m thankful that there are groups of people I can meet with that help me.” ~ Doris M.
Standing upon the historic Reformed tradition, we believe that the Bible is our only guide for faith and life. However, we realize that it can be tough to know where to start or easy to get confused when reading on our own. North Branch’s goal is to provide Bible Studies at various times during the week and weekends to allow an opportunity for all to find a smaller community with whom to learn and grow. 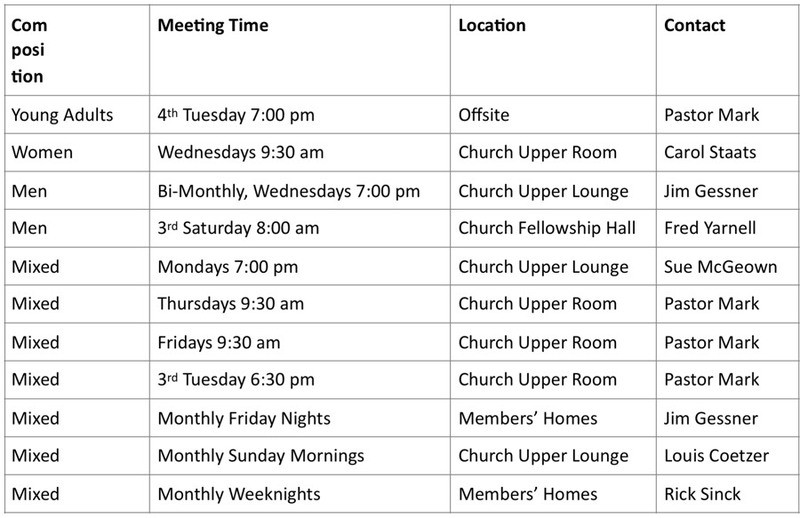 If you are interested in finding out more about these groups, please contact Pastor Mark.